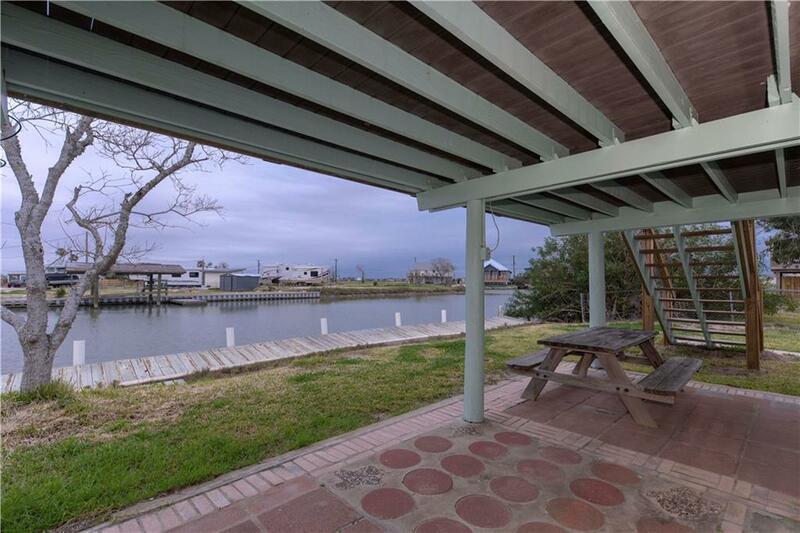 Lots of outdoor living space in this canal front cutie. 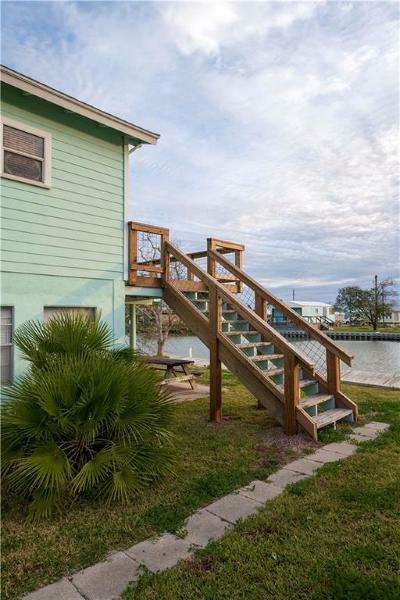 Upstairs you can sit on your practically new deck overlooking the peaceful canal. 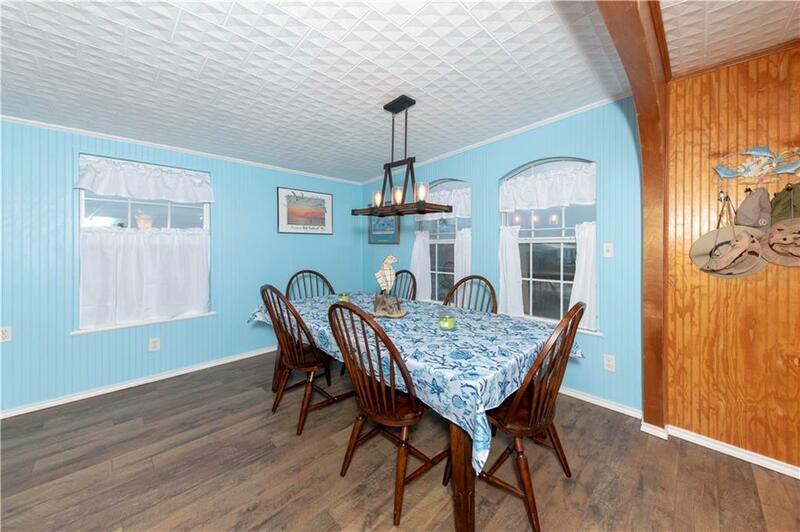 Once inside the cool blue hue will calm and relax you. 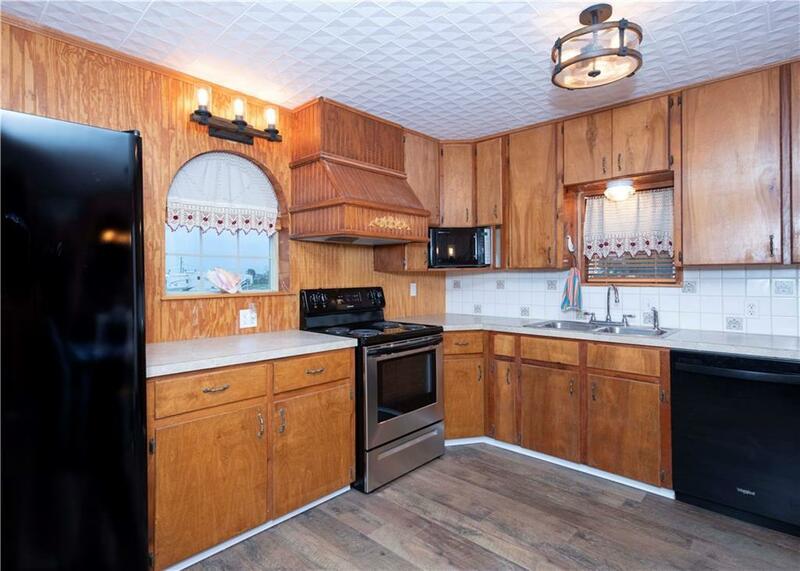 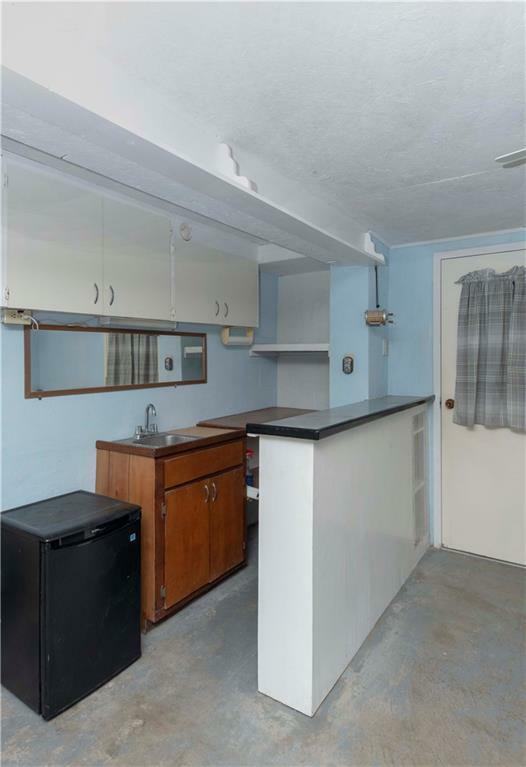 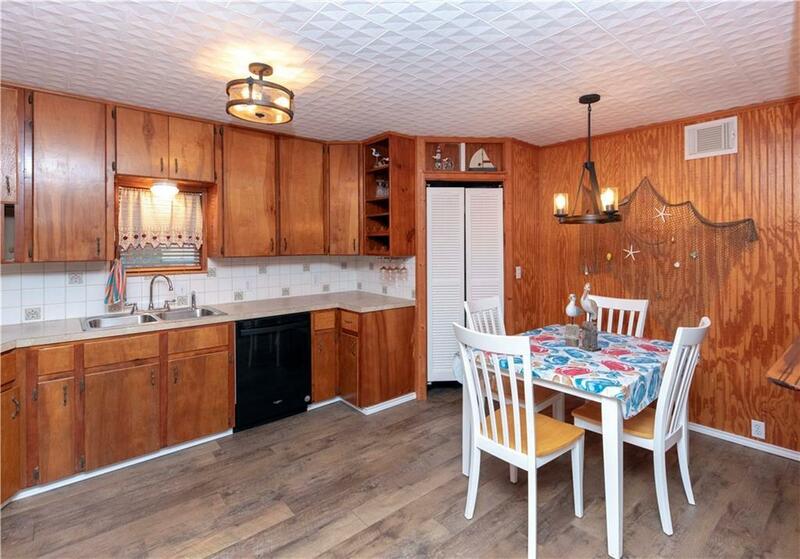 Your open country kitchen boasts newly installed appliances; refrigerator, stove and dishwasher. 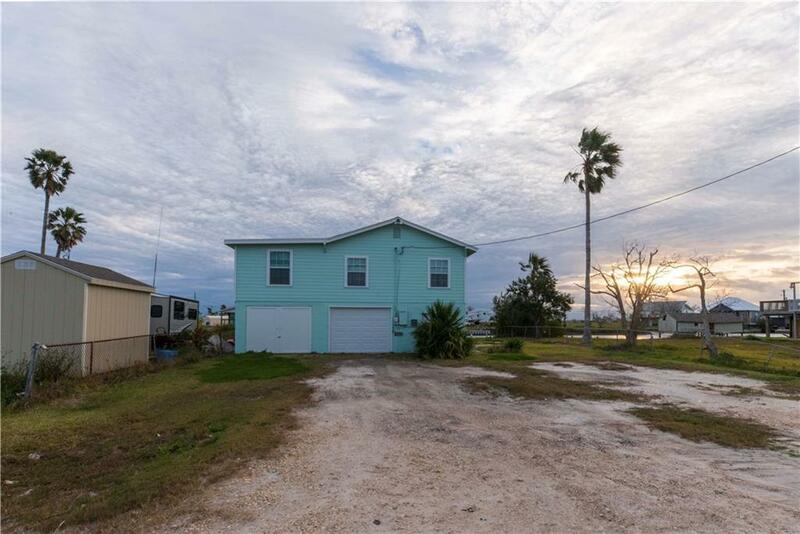 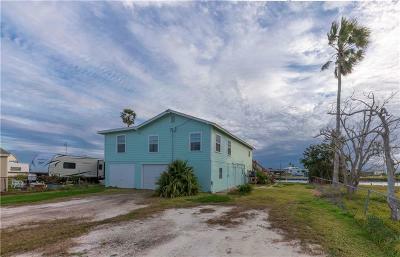 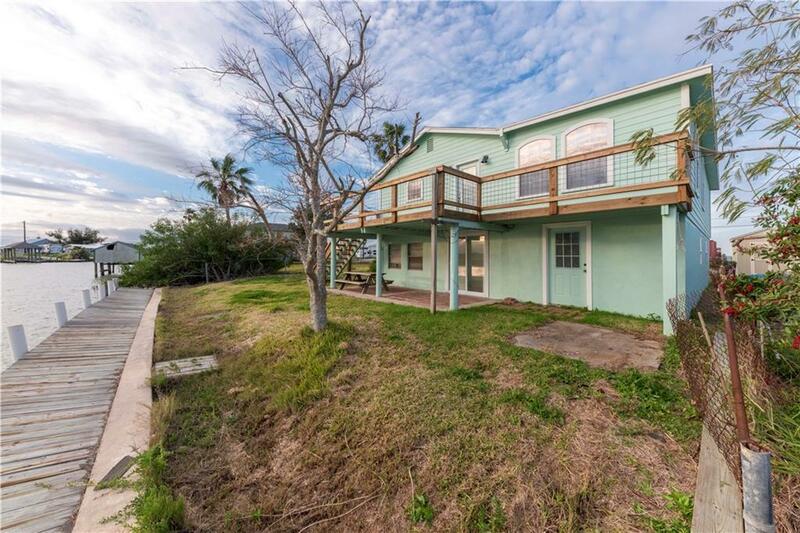 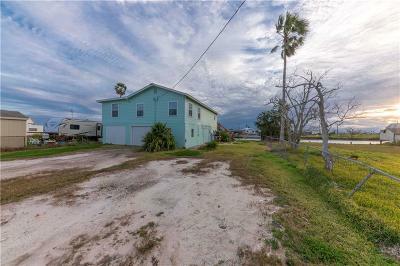 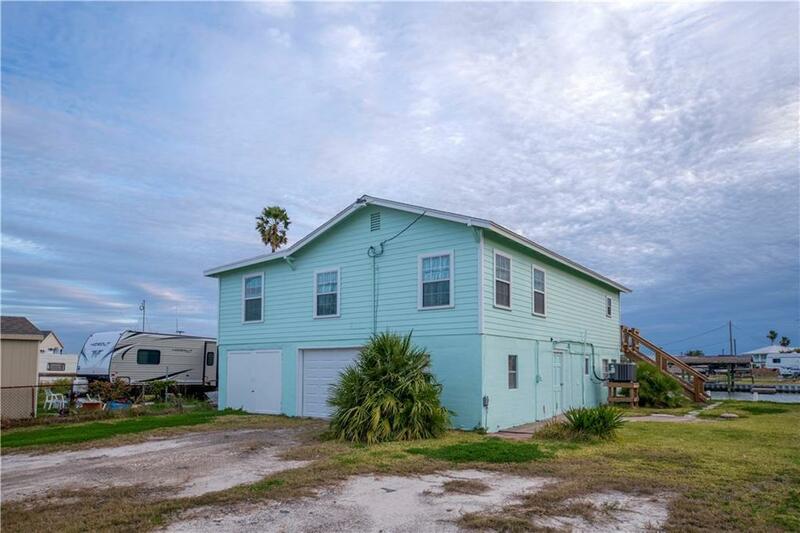 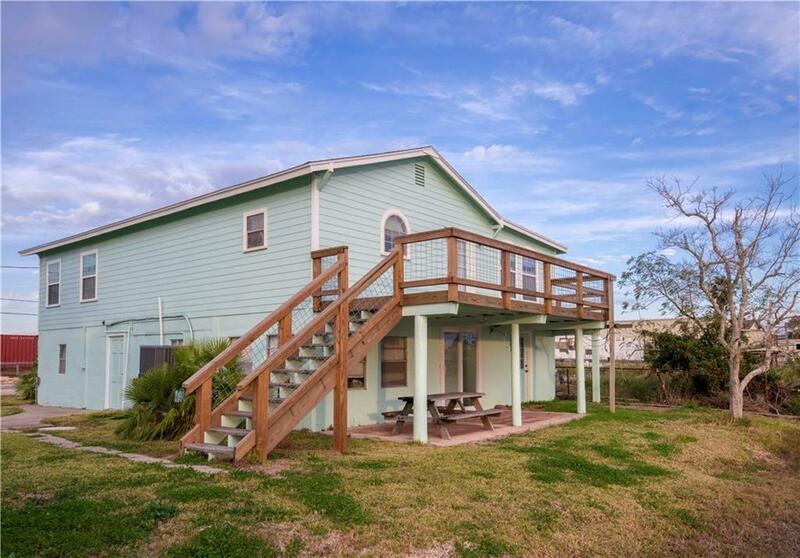 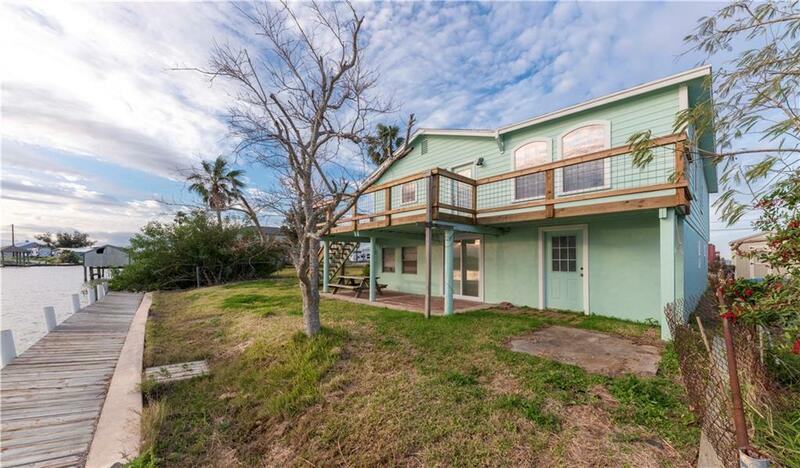 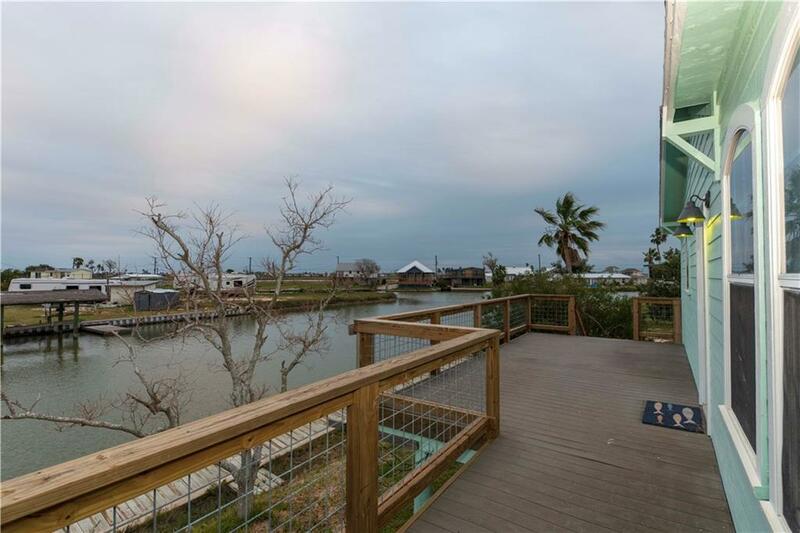 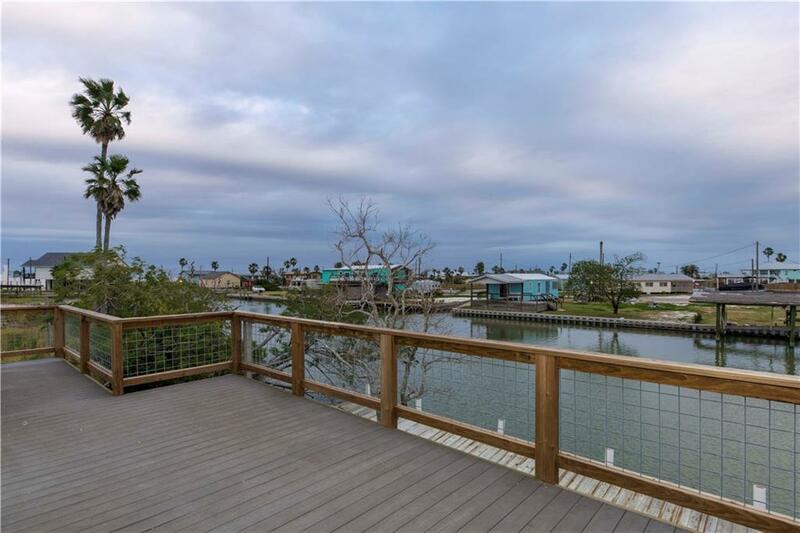 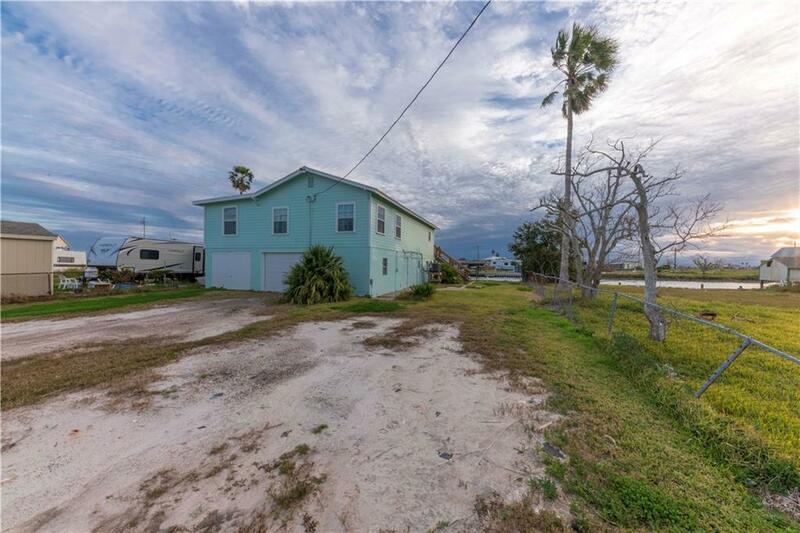 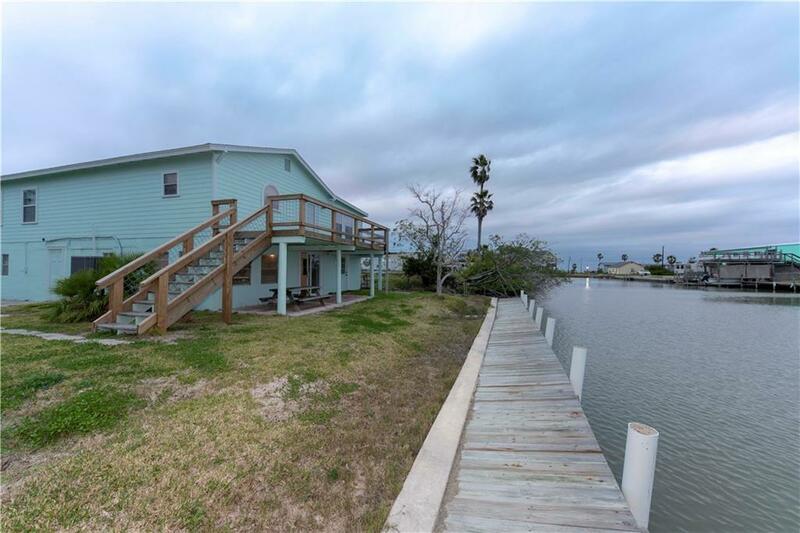 Being canal side is perfect, you can fish all day and night plus you have some view of Copano Bay! 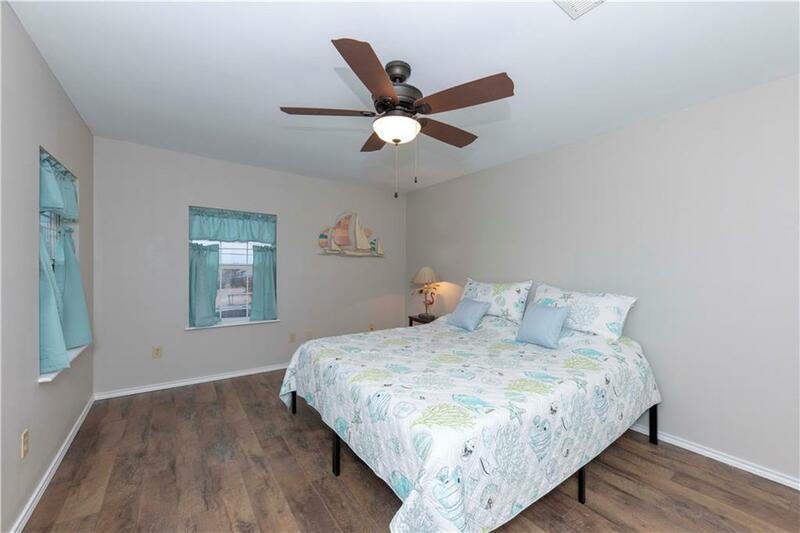 Upstairs you'll find 3 large bedrooms, with the master boasting a walk in closet. 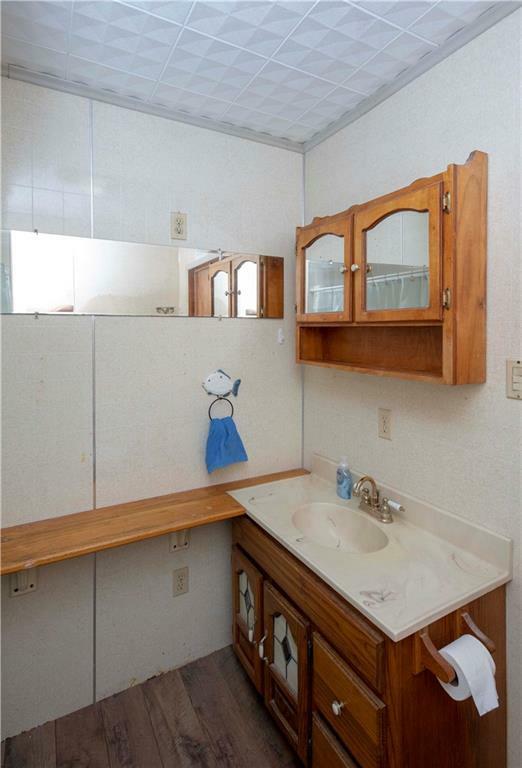 Two guest bedrooms and bathroom are all upstairs. 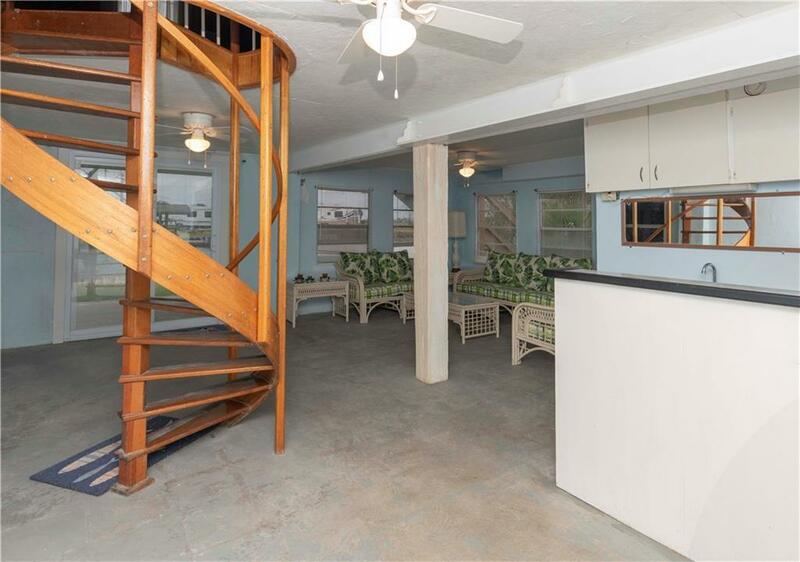 The spiral staircase takes you down to EXTRA living space with wet bar! 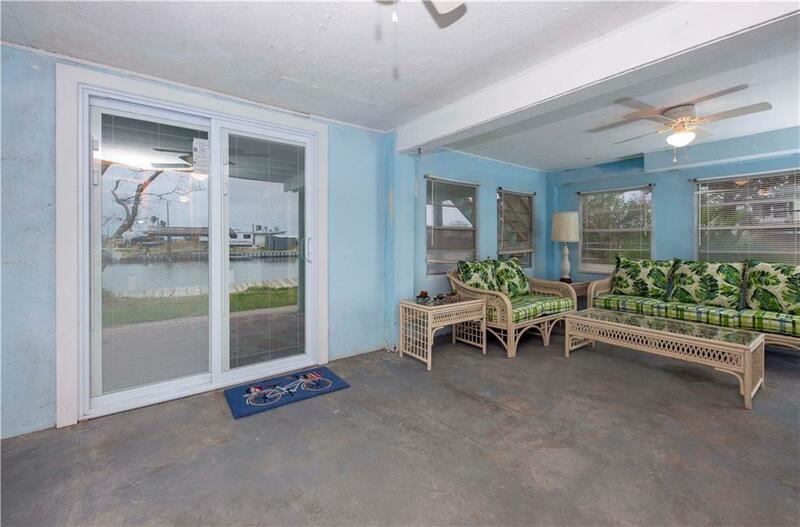 Such a great location and lots and lots of room for everyone to spread out and enjoy themselves. 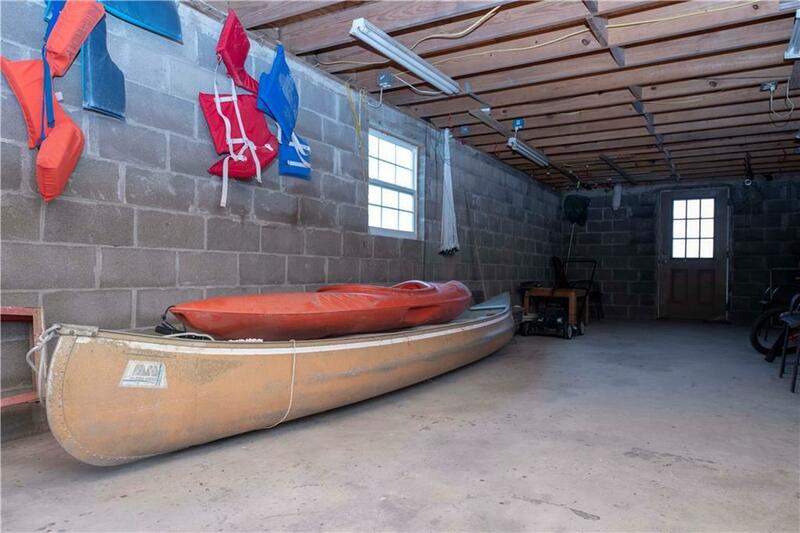 There's plenty of parking including space for parking a boat. It's tastefully simple and the perfect Rockport Retreat. 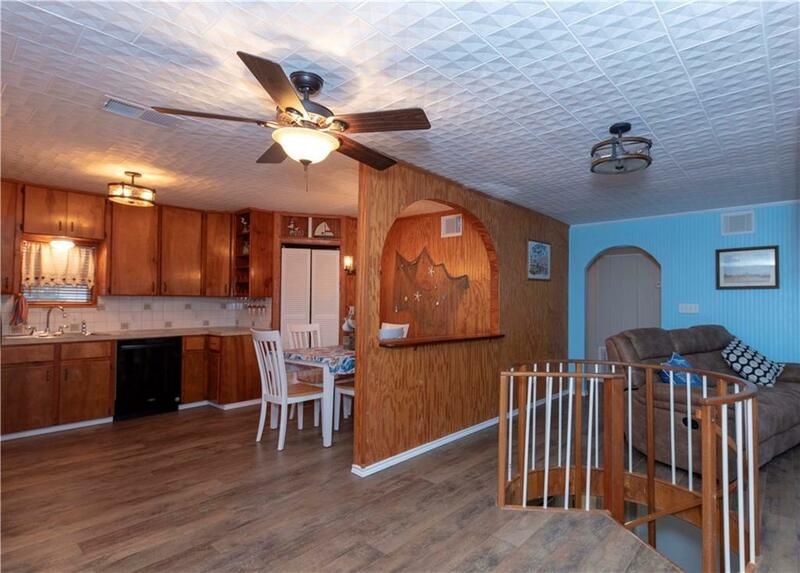 Make sure you grab this beauty before it's gone. 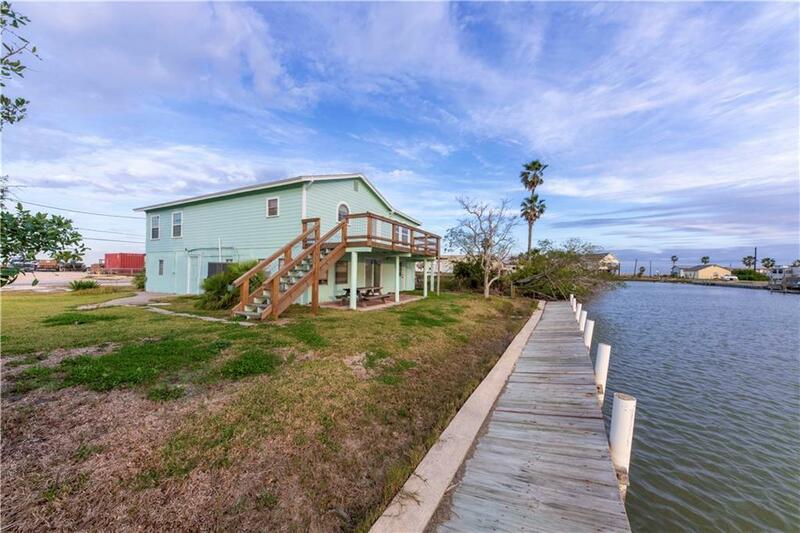 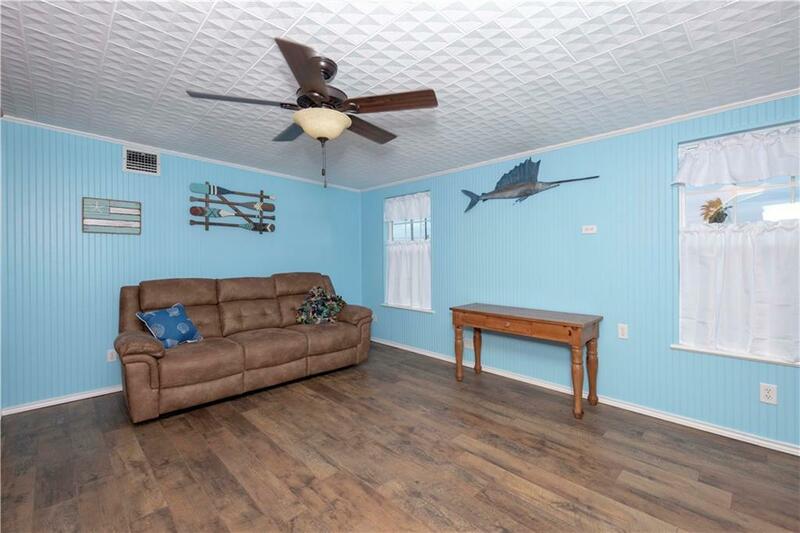 It's not often you find a waterfront home under $245,000.